Had a going away lunch for a co-worker at the suburban Philly mini-chain Zac’s Hamburgers the other day, and per usual, Zac’s delivered. Nothing too fancy here, just a perfectly delivered fast-food burger with tons of toppings (see pic). We stopped at the Secane, PA location (other locations include Crum Lynne, Aston and their newest spot in Media). Limited ambiance (a TV with ESPN is perched high on one wall of the wide-open dining room opposite some old arcade games), but you’re coming for the food, so don’t sweat that stuff. $1.75 for the burger with as many toppings as you like, a bit more for cheese but I have never found it necessary (and rarely do). 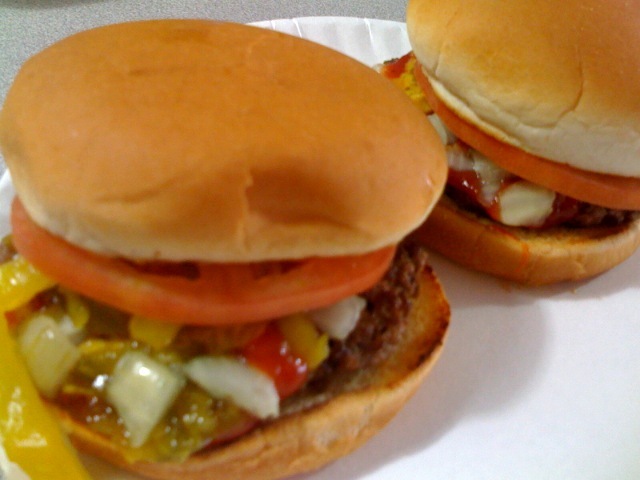 Grab a coupon for a free burger when you buy two by clicking here. Zac’s is a top ten burger for me because of their consistency. Do one thing and do it well, a good strategy for any burger joint.